Apply newfound knowledge, skills, tools and techniques to your projects when you register for our general courses or go on to earn an industry-recognized PMP® certificate. Taught by certified PMP® instructors, our course content is top-notch and aligned with the Project Management Body of Knowledge (PMBOK® Guide), the industry standard. How will this enhance my life or career? Why choose JCCC Continuing Education courses? We’re experienced. Our instructors are knowledgeable industry professionals. We’re up-to-date. Our material is relevant, our instructors know industry trends and our labs and training equipment are top-notch. We’re flexible. We offer face-to-face and online classes. We’re convenient. Get high-quality courses and training close to home or customized training at your site. We’re affordable. Costs are reasonable and usually less than other area training centers. PMP, PMI-PBA and PMBOK are registered marks of the Project Management Institute. For more information on PMI certification requirements visit the PMI certification page. Ready to choose your course? JCCC Continuing Education also offers online project management courses. 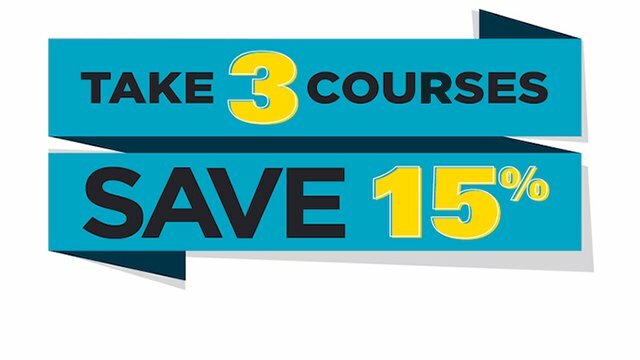 Receive a 15% discount when you register and pay for three qualifying classes in one transaction! Scholarships funds are available for some Continuing Education courses.